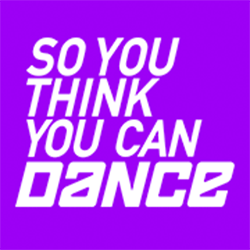 Your votes on our So You Think You Can Dance Survey told me that you think Jacque and Ricky will go home. Let’s see if you’re right! The battle for the top spot grew even more challenging last night as the dancers had to perform three separate dances, one with a fellow competitor, an All-Star partner, and a solo. Since we were down to the top six, the dancers really brought their game and there were so many excellent dances. Here are some of my favorites from last night. The choreography of Valerie and Ricky’s Broadway piece had a very difficult component to it regarding the main prop. Their somewhat silly and carefree feeling dance, used a swing which Ricky had to leap through several times throughout the dance. Valerie’s dress was poofy and fun. Next up was Jessica and Casey who went back in time with their sparkly disco and had the costumes to match. Casey spun Jessica around so many times during the dance it almost made me dizzy just watching them! Last night SYTYCD was joined by the band Rixton, who performed their hit song Me and My Broken Heart. After that energetic performance, the All-Star couples began their routines. Jacque and All-Star Will’s contemporary routine was light and airy, with the song to match, 99 Red Balloons by Nena. My absolute favorite dance of the night was Zack with All-Star Fik-Shun. Their hip hop routine was choreographed by Phillip Chbeeb who was inspired by the Rorschach Inkblot Test. The dancer’s movements were completely synchronized to form interesting shapes with their bodies. This routine was accompanied by a song I like listening to Sail (Unlimited Gravity Remix) by AWOLNATION. Then it was time for the results. The final four dancers are Ricky Ubeda, Jessica Richens, Zack Everhart, and Valerie Rocky. Sadly, we said goodbye to Casey Askew and Jacque LeWarne.